From the (.)(.) department... 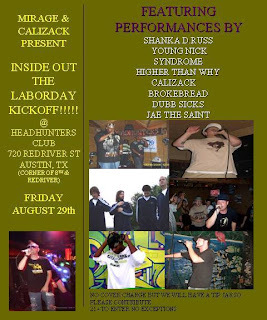 Inside Out the Labor Day Kickoff @ Headhunters on Aug 29th with performances by Shanka D-Russ, Young Nick, Syndrome, Higher Than Why, Cali Zack, Broke Bread, Dubb Sicks and Jae the Saint!